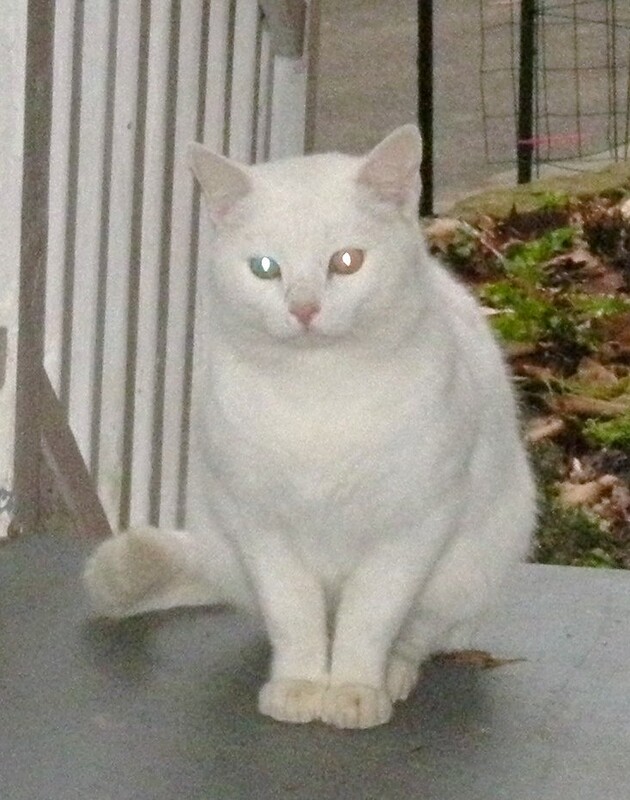 Yesterday was such a sad day for me — A neighbor called to report that my special golden eyed white cat that I befriended a couple of years ago had been seen dead along the road. My husband searched for the cat, but a torrential rain had flooded the road and washed him away. We had bonded with this very distinctive cat that we fed daily and named him Whitey. Now Whitey is running freely with all the other spirits that have passed on. I can’t help looking out the front door hoping to see him, but in time I will accept the loss. Whitey was so loyal and yet so independent. I will miss him. Today is Sunday, and so I thought I’d try to catch up on what’s been happening around here. 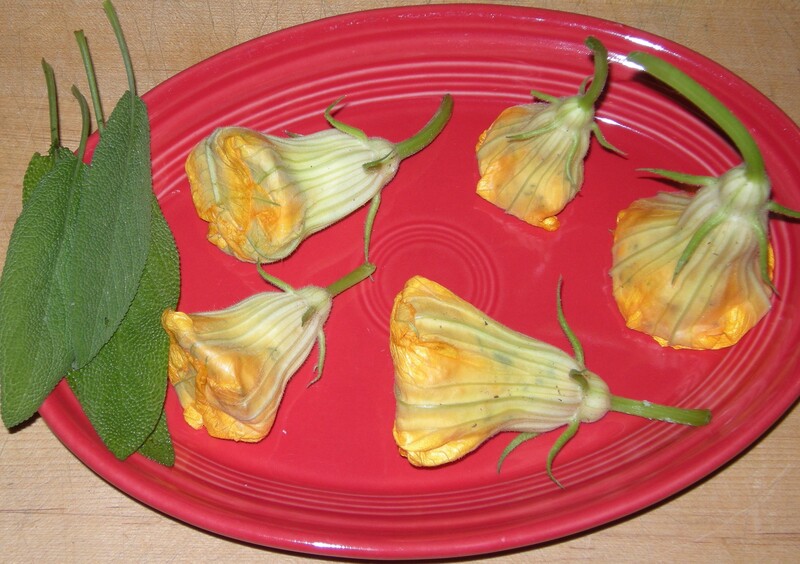 I’ve been picking my zucchini squash blossoms so I could stuff them and fry them to eat. Yesterday I mixed up some shredded cheese, some tofutti, a little mayonnaise, and some middle eastern yogurt with a medley of chopped fresh herbs. 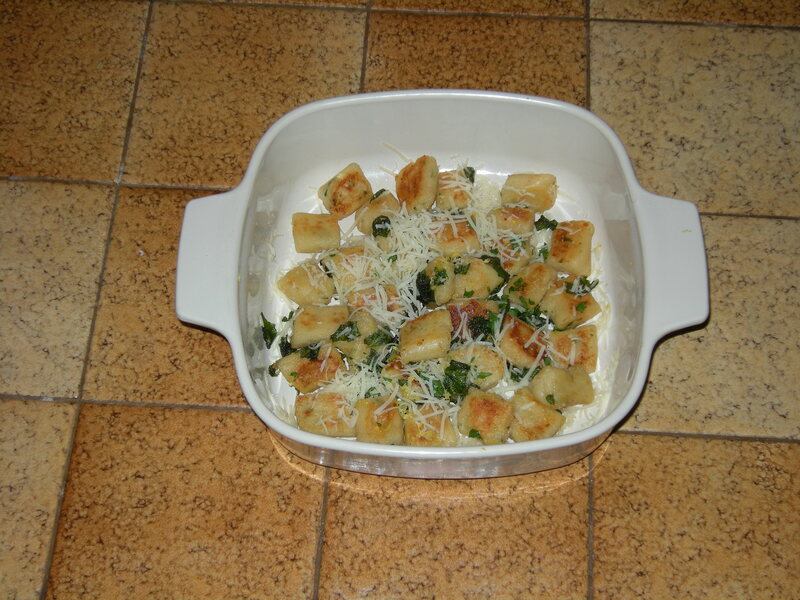 I used sage, thyme, tarragon, peppermint, parsley, and chives. I stuffed each blossom with as much of the mixture it would hold without splitting. Then I folded the petals over the top and fried them in a little butter turning them as they browned a little. They were so delicious and each of the various flavors burst in your mouth while eating them. 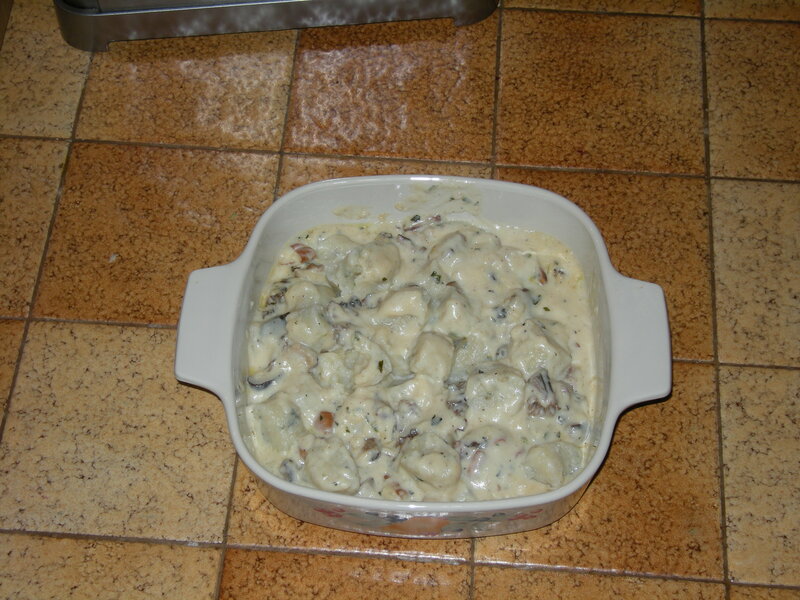 We had them along with some Russian Borscht that my husband made. The borscht was very much like venison stew and while tasty, unlike any borscht I’ve ever had before. Today we’re back to broiled tandoor chicken, steamed green beans and some other delight for dinner. I didn’t mention that a little wren made a nest in one of my baskets of Achimenes that I have growing on the porch banister. I thought some leaves had blown onto the plants and as I started to pick them off, I noticed that it wasn’t just a leaf or two, but rather an organized bunch of leaves, moss and other debris from around the yard. On closer examination I discovered it was a carefully constructed nest containing one egg. Now how am I to water that plant without disturbing the nest — very carefully I guess. The next day there were two eggs, then three the next and finally four. It’s been very hot and usually there isn’t a mother wren sitting on the nest, but in the morning she’s usually there. I question her choice of nest sites for more reasons than it’s a plant as we feed stray cats on the porch and one of them often sits on the banister. Didn’t this mother wren notice that? Now I guess I have to guard her nest when Whitey’s here. I know he will only do what he’s wired by mother nature to do. 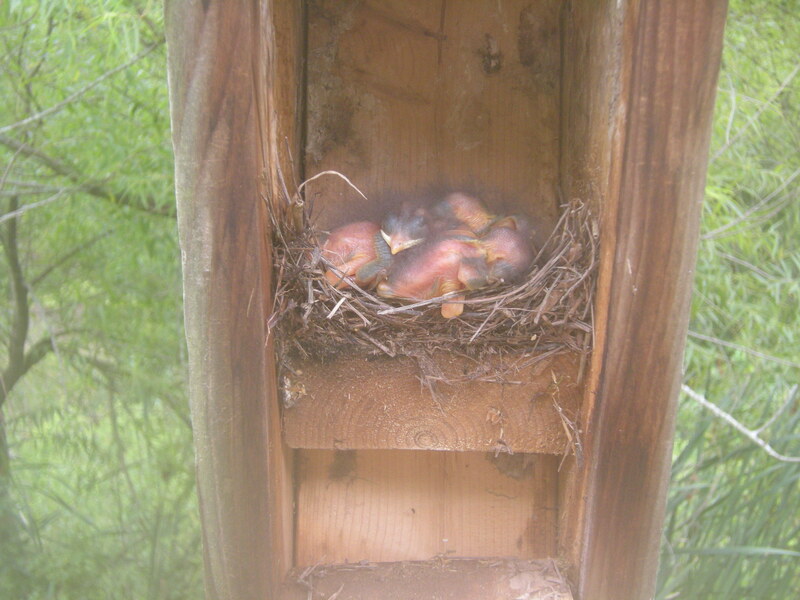 By this time next week I should be reporting baby wren hatchlings. I know they and the mother feeding them will gain Whitey’s attention. 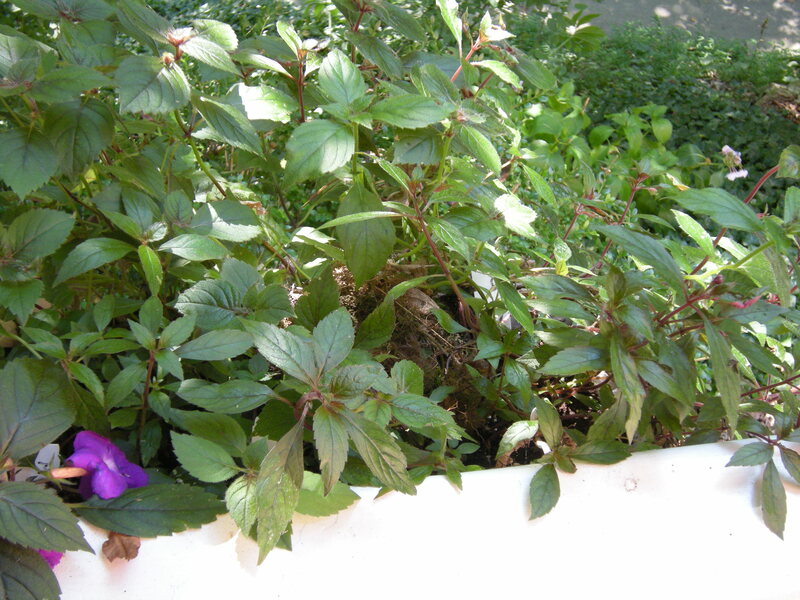 See wren nest in my plant below. I know it’s difficult to see, but I bet Whitey can find it easily. It’s not easy getting a good picture without disturbing the mother wren. Over time I plan to discuss many unusual foods or food combinations that I have cooked and eaten. Some of these are wild, some are home grown and others were purchased at the grocery or specialty store. After giving this idea some thought, I’ve decided to make it seasonal but to present it so that you may try it. That means I’ll describe foods a little before they are available so you can have the recipe in hand before you gather it in the case of wild things. I will also try to add pictures of wild foods since identifying wild plants correctly is very important. For some wild foods the time you pick it is important too and that will be explained. Our dinner last night and this evening is grilled venison burgers and vegetables. Last night we had more of the grilled eggplant like I described in a previous post. Tonight we’ll have a mixture of grilled eggplant, zucchini, home grown shiitake mushrooms and fresh mixed peppers (bell, Italian, hot and sweet, etc). We’re lucky in that we get plenty of venison each year and neither of us hunt. That means we have friends who love to hunt, but don’t eat all they get. I have found that it helps to can some venison and mixed vegetables to share with the hunters. That has forced me to work on my canning techniques and it pleases the hunters to have something that all they do is heat and eat. I can pints of the venison meat cut up into cubes and can a mixture of vegetables in quarts. To make soup one just mixes a pint of meat with a quart of vegetables and seasons it to their own taste. Since the deer population is so large where I live, hunting is one way to lower their numbers to prevent overpopulation and a great way to get lean chemical free red meat (actually we pay to have the meat cut up and packaged — but you know what I mean). I have come to prefer vension over beef anyway. So all year long I make various vension dishes that have become family favorites. It is my intent to share some of those great recipes via my posts.